Finding furniture that strikes the perfect balance between design, function and size is a huge challenge for small space dwellers. But these three little projects won’t force you to compromise on style, practicality or square footage. The icing on the cake? You can make any of these ideas in a single afternoon. This rustic little laptop desk is "shockingly easy" to create according to Brittany, the super crafty DIYer, who pens brittanyMakes. She says once you gathered the tools and supplies you can build this project in an hour or less. She shares what you need to know about this tutorial here. Difficulty: Easy, but it takes some elbow grease. it's not half as good looking as this DIY by Alyssa Wible, the creative lead at Whimseybox. To get started, you'll need a bone-dry and bug-free tree stump. If you can't find a free one, you may be able to buy one from a local garden store. You can find the entire tutorial here. Difficulty: Easy if you have a little woodworking experience. 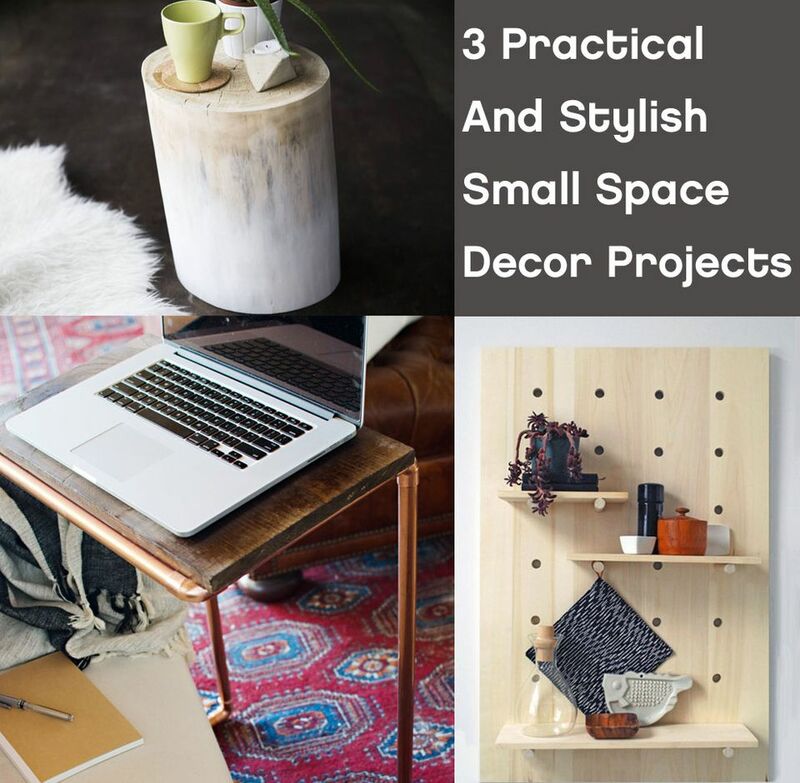 The folks at Apartment Therapy have been cooking up ideas to make small space living easier for the last decade. Their DIY pegboard system is a smart small space storage solution that's also easy on the eyes. You can find the entire tutorial here.